As a child my most vivid Christmas memories were spending Christmas Eve at my paternal grandmother’s house in west Provo. We would indulge in slushy, green frappe and gooey, carrot pudding drizzled with caramel sauce. My talented cousins would sing or dance and we would sing Christmas carols together. I remember feelings of love and quiet reflection as we sang praises to our Lord. I also could hardly contain my excitement for the next day. Today, the venue has changed since my grandparents are no longer living, yet we manage to get together once a year in December to reconnect with our growing extended family. Although the details of those evenings will eventually fade, the feelings will never leave me. I love gathering with family and friends during the holiday season. Nothing makes our house a home like having loved ones fill it. I hope this holiday season will create fond memories for you and your loved ones. Merry Christmas! It was my first Christmas away from home, my first in a foreign land and its foreign tongue. Though there were celebrational similarities, the contrasts were more apparent. It was a two-day celebration, with Santa’s visit occurring in the evening of the first day, often in the midst of Christmas dinner. It was a walk-in-the-front-door visit, complete with ruddy face and beard, jubilant well wishes, bag tossed over the shoulder and, inside it, gifts for all who resided there. There was never any shortage of snow that crunched beneath one’s boots. Breath became instant fog. As night gathered, families might attend Lutheran mass. Nearer midnight, they joined in ritual walk to the ritually-decorated cemetery. At every gravestone there was a lighted candle and perhaps a small, woven wreath. There was no talk in the air. Only stillness as loved ones brushed the snow aside, placed the candles, and lit them. They stood beside the graves for a long time before returning home. I noticed the names on the gravestones were preponderantly male—evidence of the awful price Finland had paid in its defense against the Soviet Union and Nazi Germany. I paused at the cemetery gate and looked back at the still-flickering displays of homage. It wasn’t unusual to pass tipsy Santas on the way home. Some had stopped to sleep if off where the sidewalk widened. When morning light came, visits began, family-to-family, friend-to-friend. 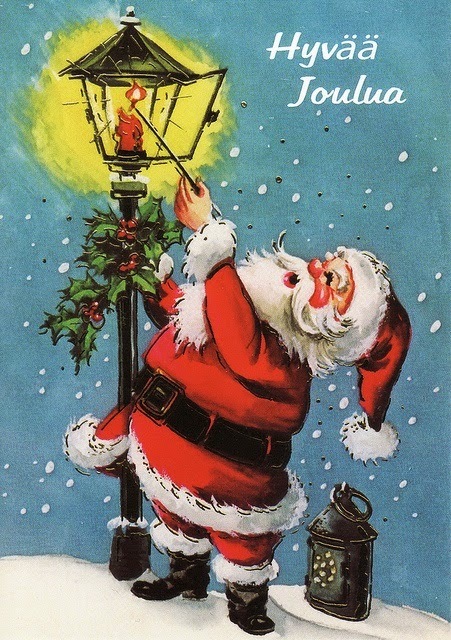 Food and spirits flowed abundantly, and Christmas (Joulu) was uppermost until the day had passed. 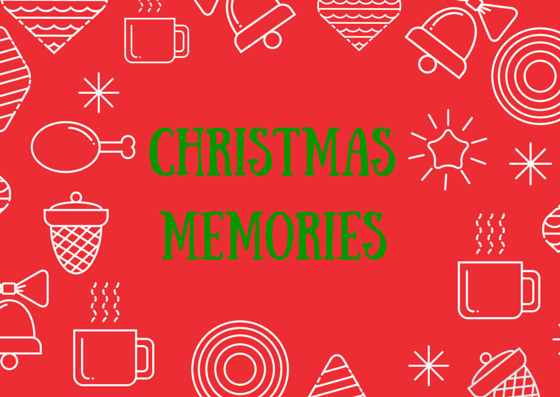 I was wide-eyed through much of the two-day immersion in a Christmas I had never known. I have returned to it many times in memory, always finding in the scenes at the cemetery a sublimity all their own.